The Alberta Children’s Hospital is 10 years old! A heartfelt Happy Birthday to Alberta Children’s Hospital! They are a loving (and colorful!) extension of healthcare to Calgary and beyond. We have been proud to call them one of our receiving charities for many years. Our own loved ones and their children have faced down all manner of emergency and long-term health issues through the past decade. We have seen, firsthand, how joyfully and thoroughly each patient is tended to. With services addressing the whole health of a child (including mental health, physical health, and spiritual health), the ACH and their caregivers work alongside patient and family alike. At Alberta Children’s Hospital, children, youth, families, staff and physicians partner together to provide the utmost in excellent care. For more info on the ACH’s first 10 years, check out CTV’s report on the scope of the hospital’s compassionate and professional work. 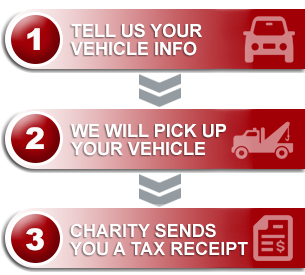 As you consider donating your vehicle to a Canadian cause, check out our list of charities to see if your regional children’s hospital is on our list? Chances are, we’ve been bringing in donations for them for years, and we would love to help you help them in this way! ps: A happy update from accounting – one of our donated vehicles will be netting a gift of over $3000.00 for the ACF this month! Happy birthday to you, Alberta Children’s Hospital!